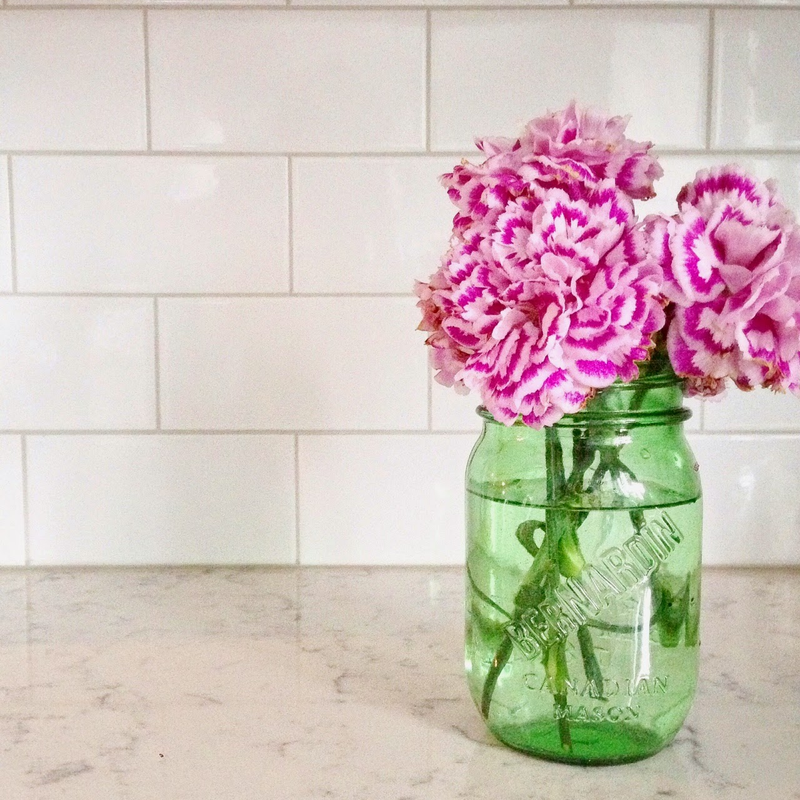 These pretty carnations are tough ones! I've had them for nearly two weeks now and though some of the edges are starting to brown, they are still hanging on. I plan on keeping them in the kitchen for as long as I can. I've been stocking up on a few staples for my closet. Old Navy and Gap are two of my favourite stores and they are having fabulous sales this week! I bought this plaid top from Old Navy and am tempted to order a few more because I love it so much! And how can you say no to a pretty floral fitted boyfriend shirt from Gap? I mean, really. Carnations are my favorite flower. I love everything about them, but especially their fragrance. They look so pretty, especially in contrast to your white kitchen. Did you do anthing special to keep the lasting this long?